One of the many joys of spring weather is the chance to get out walking again. April 3 is National Walking Day, and the perfect opportunity to look for the paths and trails in your neighborhood. 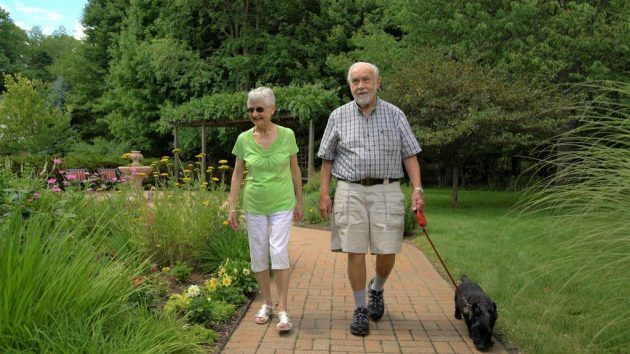 Silver Maples Residents are fortunate to have a Community Wellness Path right in their backyard! Established in 2011, the Community Wellness Path was grant-funded by the 5 Healthy Towns Foundation and created in partnership with Silver Maples, the Chelsea Community Hospital, the Chelsea School District, and St. Mary Catholic Church. This scenic .85 mile path circles Silver Maples, and provides easy connections to the Senior Center, Professional Building, as well as Main Street via the historic Interurban Trail. 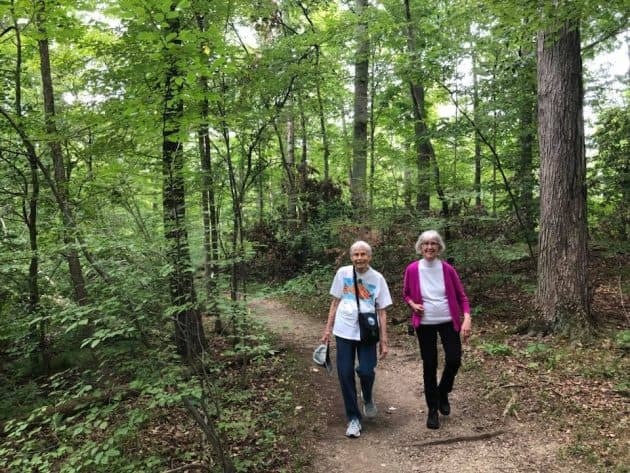 Residents can often be found going for strolls where they come across Chelsea community members going for jogs, walking dogs, or simply enjoying the nature. But enough reading — time to get out there and walk!